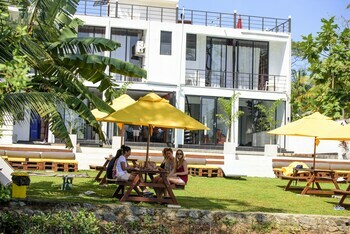 With a stay at Escapade by LVB in Moratuwa, you'll be 4 mi (6.4 km) from Sri Lanka Airforce Museum and 4.7 mi (7.6 km) from Siddhalepa Ayurveda Hospital. Featured amenities include luggage storage and laundry facilities. Free self parking is available onsite. When you stay at Hotel Riu Sri Lanka - All Inclusive in Ahungalla, you'll be on the beach and within a 5-minute drive of Sea Turtle Conservation & Research Center. Limited parking is available onsite.